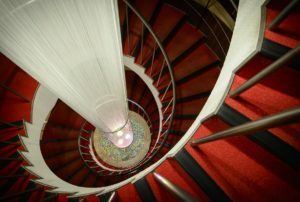 The case was brought into the IP High Court after the JPO decided to dismiss an invalidation trail (case no. 2017-890079) claimed by BULK HOMME Co., Ltd. (Plaintiff), an owner of senior trademark registration no. 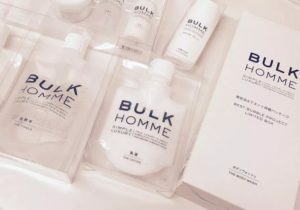 5738351 for the mark combined “BULK HOMME” with other literal elements (see below) over goods of cosmetics and skin care products for men in class 3. 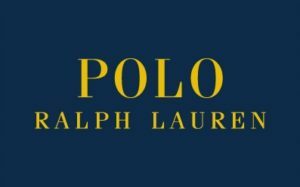 In the invalidation trial, plaintiff asserted trademark registration no. 5931607 for word mark “BULK AAA” in standard character shall be invalid in violation of Article 4(1)(xi) of the Trademark Law since the mark is confusingly similar to “BULK HOMME” and designates cosmetics (class 3) which is undoubtedly identical with or similar to the goods designated under its own senior registration. Article 4(1)(xi) is a provision to prohibit from registering a junior mark which is deemed identical with, or similar to, any senior registered mark. Inter alia, plaintiff strongly argued the term “AAA” in disputed mark lacks distinctiveness as a source indicator in relation to cosmetics since “AAA” is a term commonly known to represent the highest possible rating assigned to the bonds of an issuer by credit rating agencies. 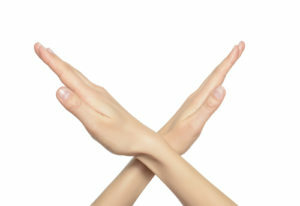 Given the circumstance, relevant consumes of cosmetics are likely to consider the term in disputed mark a qualitative indication of the goods even if the term has not been used as such indication in connection with cosmetics in fact. However, the Trial Board of JPO set aside the allegation by stating that disputed mark “BULK AAA” shall be assessed in its entirety. 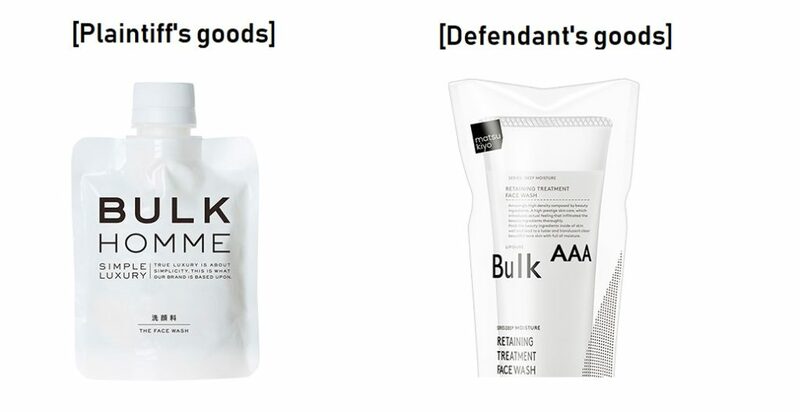 It is groundless to compare a word portion “BULK” of disputed mark with “BULK HOMME” given the Board could not identify any facts to assume relevant consumers of cosmetics conceive the term “AAA” of disputed mark as a qualitative indication. Both marks are sufficiently distinguishable from visual, phonetic, and conceptual points of view and dissimilar as a whole. To contend against the decision, plaintiff filed an appeal to the IP High Court. The IP High Court, to the contrary, sided with plaintiff and completely negated fact-findings made by the Trial Board of JPO. The Court held the term “AAA” is recognized as a qualitative indication even when used on cosmetics and thus the word portion of “BULK” is likely to play a dominant role of source indicator. If so, it is never inappropriate to pick up the word “BULK” from disputed mark and compare it with other mark in the assessment of mark similarity. Besides, “HOMME” is a French term meaning “for men”. From the produced evidences, it seems apparent the term has been used in relation to men’s cosmetics, and consumers are accustomed to it and recognize the meaning. Given the term is depicted in a thinner font than “BULK” in the citation, “BULK” gives dominant impression as a source indicator in the mind of consumers. Accordingly, it is reasonable to pick up the word “BULK” from the citation and compare it with other mark in the assessment of mark similarity. The Court found that the Trial Board materially erred in the fact-finding and assessing similarity of mark. As long as dominant portion “BULK” of both marks and designated goods are identical, disputed mark shall be invalid based on Article 4(1)(xi). 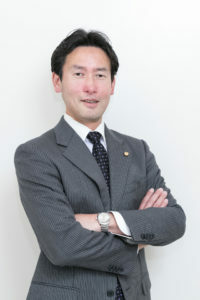 Posted on 2019年3月10日 by Masaki MIKAMI in Article 4(1)(xi), composite, Composite mark, Invalidation, Similarity of mark and tagged AAA, Article 4(1)(xi), BULK AAA, BULK HOMME, Invalidation trial, IP High Court. In a recent administrative decision to trademark opposition filed by Jaguar Land Rover Limited who alleged trademark registration no. 6011666 for word mark “DISCOVERER” designating goods of “batteries and cells, telecommunication machines and apparatus, recorded video discs, and other goods” belonging to class 9 owned by a Japanese business entity is confusingly similar to “DISCOVERY” famous for four-wheel-drive vehicles produced by the opponent, the Opposition Board of Japan Patent Office (JPO) dismissed the opposition due to an unlikelihood of confusion. Opposed mark (trademark registration no. 6100666) just consists of a term “DISCOVERER” in a plain roman type and its transliteration in a Japanese katakana character. The mark was filed on April 24, 2017 by designating “batteries and cells, telecommunication machines and apparatus, recorded video discs, and other goods” belonging to class 9. JPO, going through substantive examination, admitted registration and published for opposition on February 13, 2018. 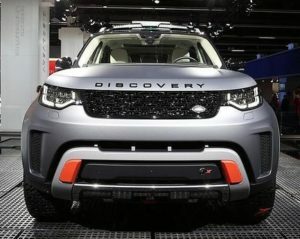 On April 6, 2018, before the lapse of a two-months opposition period, Jaguar Land Rover Limited filed an opposition, stating that relevant consumers are likely to confuse or misconceive opposed mark with opponent or any business entity systematically or economically connected with Land Rover due to high popularity of “DISCOVERY” for Land Rover SUV and similarity between “DISCOVERY” and “DISCOVERER”. Jaguar Land Rover sought to retroactively cancel opposed mark in relation to all designated goods in class 9 based on Article 4(1)(xv) of the Trademark Law. The Board negated a certain degree of popularity and reputation of opponent mark “DISCOVERY”, stating that produced materials are insufficient and non-objective to demonstrate famousness of the cited mark. Besides, the Board found that both marks are sufficiently distinguishable from visual, phonetic and conceptual points of view and deemed dissimilar. Even if car makers are looking at ways to speed up development of self-driving and recent cars consist of batteries and telecommunication apparatus in fact, given non-originality of opponent “DISCOVERY” mark and remoteness between opposed goods and vehicles, the Board held that relevant consumers of opposed goods are unlikely to confuse or associate “DISCOVERER” with opponent or any business entity systematically or economically connected with Jaguar Land Rover Limited. Thus, opposed mark shall not be revocable to Article 4(1)(xv) of the Trademark Law and dismissed the opposition entirely. Posted on 2019年3月3日 by Masaki MIKAMI in Article 4(1)(xv), Famous mark, Likelihood of confusion, Opposition, similarity of goods, Similarity of mark and tagged Article 4(1)(xv), DISCOVERER, DISCOVERY, Jaguar Land Rover, Likelihood of confusion, trademark opposition. The Opposition Board of Japan Patent Office (JPO) held in an opposition filed by Adidas AG that trademark registration no. 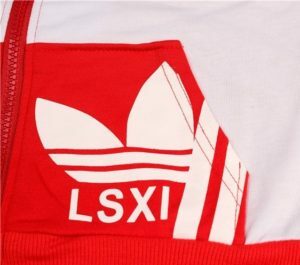 5958601 for the LSXI device mark shall be revocable due to a likelihood of confusion with world-famous Adidas Trefoil logo. Opposed mark (see below), in the name of a Chinese business entity, was applied for registration on December 30, 2016 by designating apparels, shoes, headgear and other goods in class 25. The JPO, going through the substantive examination, published opposed mark for registration on July 18, 2017. Adidas AG, opponent, filed an opposition on August 31, 2017 and claimed that opposed mark shall be retroactively cancelled in violation of Article 4(1)(xv) of the Japan Trademark Law due to a likelihood of confusion with Adidas Trefoil logo (see below). Article 4(1)(xv) provides that a mark shall not be registered where it is likely to cause confusion with other business entity’s well-known goods or services, to the benefit of both brand owner and consumers. 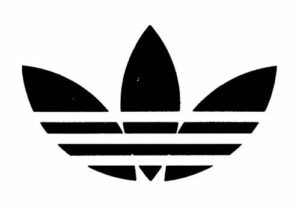 Adidas argued that the figurative element of opposed mark evidently gives rise to a same impression with the Trefoil logo in view of basic configurations consisting of two or three laurel leaves intersected by two or three stripes in parallel. Being that the Trefoil logo has been mainly used on sports clothes and sports gear and often seen with athletes during the race and game, consumers are accustomed to conceiving it even at a partial sight of the logo. 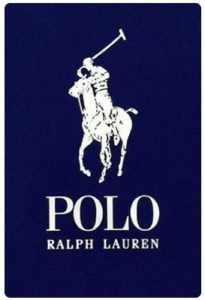 Besides, taking account of reputation and popularity of the Trefoil logo and visual resemblance between the marks, relevant consumers are likely to consider opposed mark as a variation of the Trefoil logo and confuse or connect it with Adidas when used on goods in question. The Opposition Board admitted a high degree of reputation, popularity and originality to the iconic Adidas Trefoil logo in relation to sport clothes, casual wear and footwear at the time of initial filing and registration of opposed mark. Regarding similarity of the marks, the Board considered relevant consumers are likely to have impressions that opposed mark contains dominant portions of a world-famous opponent mark and redesigned the Trefoil logo in part. Since apparels and shoes designated under opposed mark are for daily use and consumed by the general public, it is evident that usage, purpose and consumers of the goods are same with that of sport clothes, casual wear and footwear on which the opponent has been using the Trefoil logo. Based on the foregoing, the Board concluded relevant consumers are likely to confuse or connect a source of the opposed mark with Adidas AG or any entity systematically or economically connected with the opponent when used on goods in question. If so, opposed mark shall be cancelled in violation of Article 4(1)(xv) of the Trademark Law. 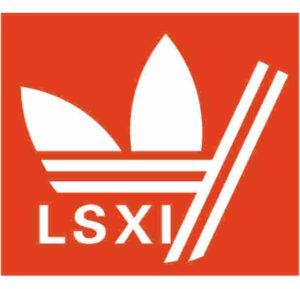 Posted on 2019年2月23日 by Masaki MIKAMI in Article 4(1)(xv), Device mark, Famous mark, Figurative mark, Likelihood of confusion, Opposition, Similarity of mark and tagged Adidas, Article 4(1)(xv), Likelihood of confusion, trademark opposition, Trefoil logo. The Japan Patent Office dismissed a trademark opposition claimed by the second largest manufacturer of jeans in the United States, The H.D. Lee Company, Inc. (LEE) against trademark registration no. 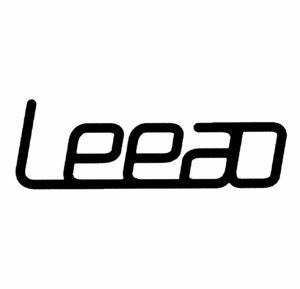 5990967 for the Leeao logo mark in class 25 by finding less likelihood of confusion with “Lee” because of remarkable dissimilarity between the marks. Opposed mark “Leeao” (see below) was filed by a Japanese business entity on April 28, 2017 by designating clothing and clothes for sports in class 25. Going through substantive examination, the JPO admitted registration on September 29, 2017 and published for registration on November 21, 2017. To oppose against registration, LEE filed an opposition on December 20, 2017. 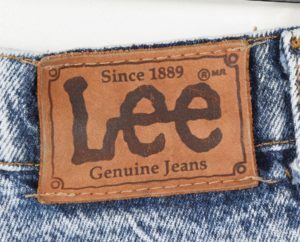 In the opposition brief, LEE asserted the opposed mark shall be cancelled in violation of Article 4(1)(xi) of the Japan Trademark Law given a high reputation and popularity of opponent mark “Lee” in the business field of jeans having longer history than LEVIS and similarity of opposed mark with its owned senior trademark registration no. 1059991 for the “Lee” logo mark (see below) over clothing in class 25 effective since 1974. LEE argued opposed mark gives rise to a pronunciation of ‘liː’ from the first three letters, allegedly a prominent portion of opposed mark, since remaining elements are rarely perceived as letters of “ao” from its appearance. Where opposed mark is considered similar to opponent mark and designated goods of opposed mark is identical with or similar to that of opponent mark, opposed mark shall be retroactively cancelled in violation of Article 4(1)(xi). In this regard, since LEE’s senior registration covers clothing in class 25, similarity of goods is indisputable in the case. 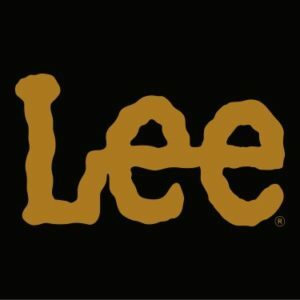 The Opposition Board, based on the fact-finding that Lee jeans has been distributed in Japan for five decades and its frequent appearance in media, admitted a high degree of popularity and reputation of “LEE” logo as a source indicator of opponent jeans among general consumers. Opposed mark, from appearance, shall not be seen as a combination of “lee” and “ao” unless “ao” does clearly give rise to a descriptive meaning. If so, opposed mark shall constitute one word as a whole and be deemed sufficiently distinctive in concept as well. In the meantime, relevant consumers of goods in question shall conceive opponent mark as a source indicator of famous “Lee” jeans. If so, both marks are completely distinguishable from three aspects of appearance, sound, and concept. Posted on 2019年1月5日 by Masaki MIKAMI in alphabetical name, Article 4(1)(xi), composite, Composite mark, examination, Famous mark, Likelihood of confusion, Opposition, Similarity of mark and tagged Article 4(1)(xi), JPO, LEE, Leeao, trademark opposition. In a recent appeal trial over trademark dispute, the Appeal Board of Japan Patent Office (JPO) overturned the Examiner’s determination and held that a word mark “GRAND HOME” is dissimilar to, and unlikely to cause confusion with a senior trademark registration for the “GRAN HOME” mark in connection with construction, reform or repair service for residential homes and buildings. Kabushiki Kaisha GRAND HOME, a Japanese business entity filed a trademark application for a word mark “GRAND HOME” in standard character covering services of reform, repair, maintenance, cleaning and construction for residential homes and buildings in class 37 on May 17, 2016 [TM application no. 2016-53226]. Going through substantive examination by the JPO examiner, applied mark was completely refused registration based on Article 4(1)(xi) of the Trademark Law due to a conflict with senior trademark registration no. 5534717 for word mark “GRAN HOME” written in Japanese character(katakana) for the same services in class 37. Applicant filed an appeal against the refusal on September 6, 2017 and argued dissimilarity of the marks. From appearance, both marks are distinguishable because of a difference in literal elements. Applied mark consists of alphabetical letters. Meanwhile, the earlier mark consists of Japanese character. Having compared the sound of applied mark “ɡrænd hoʊm” and earlier mark “ɡræn hoʊm”, there evidently exists a difference in the middle sound. The difference shall not be negligible from overall sound composition as long as the sound “D” in the middle of applied mark is pronounced in a clear and intelligible manner. If so, both marks are aurally distinctive. Applied mark gives rise to a meaning of ‘large house’. In the meantime, the earlier mark “GRAN HOME” does not give rise to any specific meaning. Hence, both marks are dissimilar from conceptual point of view. 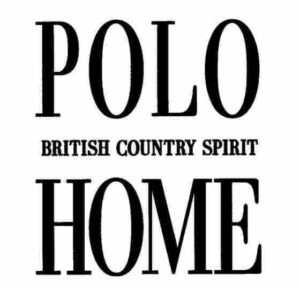 Based on the foregoing, it is unlikely that relevant consumers confuse or misconceive a source of “GRAND HOME” with the earlier mark “GRAN HOME”. Posted on 2018年12月29日 by Masaki MIKAMI in alphabetical name, Article 4(1)(xi), composite, Composite mark, examination, Likelihood of confusion, Similarity of mark and tagged Article 4(1)(xi), GRAN HOME, GRAND HOME. 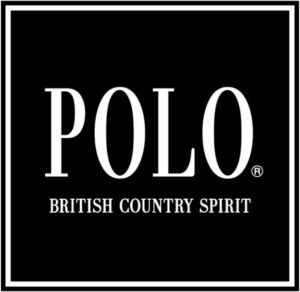 Posted on 2018年12月23日 by Masaki MIKAMI in abbreviation, Article 4(1)(xv), Division of trademark application, Famous mark, IP High Court, Likelihood of confusion, Similarity of mark and tagged Article 4(1)(xv), IP High Court, Likelihood of confusion, POLO, RALPH LAUREN. In an administrative appeal disputing trademark similarity between TM registration no. 4015750 for word mark “POWERTECH” and a junior application no. 2016-137853 for the “AC POWERTECH” device mark represented as below, the Appeal Board of the Japan Patent Office decided that both marks are deemed dissimilar and reversed examiner’s rejection. The cited mark, consisting of a word “POWERTECH” colored in red (see below), was registered on June 20, 1997 by designating various vehicles in class 12. Applied junior mark consists of the following “AC POWERTECH” device mark (see below). It was applied for registration on December 7, 2016 by designating vehicles in class 12. The JPO examiner refused the applied mark due to a conflict with senior TM registration no. 4015750 based on Article 4(1)(xi) of the Trademark Law. Subsequently, the applicant filed an appeal against the rejection and disputed dissimilarity of both marks. Applied mark is a composite mark mainly consisting of two words of “AC” and “POWERTECH” written in two lines and a black hexagon. 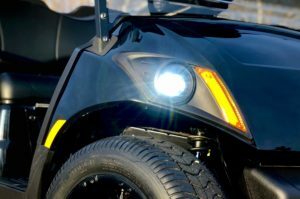 Even if the term “AC” is likely to be used as an indication of type and mode of vehicles in commerce, from appearance of applied mark as a whole, the Board opines that relevant consumers would not conceive the term as indication of type or model. If so, it is questionable whether consumers ignore “AC” in the applied mark and pay considerable attention to the term “POWERTECH”. Thus, it is reasonable to conclude that applied mark shall give rise to a pronunciation nothing but “AC POWERTECH” and no specific meaning. Obviously, both marks are distinguishable in appearance. Given applied mark does give rise to a pronunciation of “AC POWERTECH” and no meaning, the Board finds no ground to affirm examiner’s rejection from visual, phonetic, and conceptual point of view. Astonishingly, JPO viewed the applied mark “AC POWERTECH” in its entirety irrespective of significant difference in font size between “AC” and “POWERTECH”. Posted on 2018年11月24日 by Masaki MIKAMI in Article 4(1)(xi), composite, Composite mark, Device mark, Similarity of mark and tagged Article 4(1)(xi), composite mark, POWERTECH. 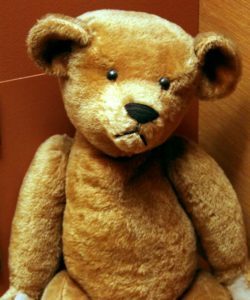 “TEDDY BEAR”, a children’s toy, made from soft or furry material, which looks like a friendly bear, has its origin after Teddy, nickname for Theodore Roosevelt who was well known as a hunter of bears. In Japan, name of the toy bear has been registered in the name of Nisshin OilliO Group. Ltd. on various goods in class 29, 30, 31 and 32 since 1986. Junior mark for “Rose Teddy Bear” was applied for registration by a French company on August 10, 2016 over goods of rose, rose trees and other items relating to rose in class 31. JPO examiner rejected junior mark due to a conflict with the “Teddy Bear” mark based on Article 4(1)(xi) of the Trademark Law on September 5. 2017. To seek for registration, applicant filed an appeal against the refusal on December 5, 2017. 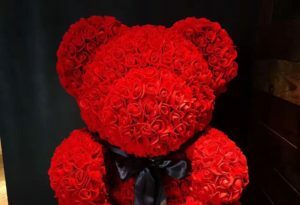 (1) From appearance and pronunciation, the term of “Rose Teddy Bear” shall be recognized as one mark in its entirety. (2) Relevant consumers and traders are likely to conceive the term as a coined word since it does not give rise to any specific meaning as a whole. (3) Therefore, the refusal based on the assumption that literal portions of “Teddy Bear” in junior mark plays a dominant role made a factual mistake and shall be cancelled consequently. It seems that the Board decision is not consistent with the Trademark Examination Guidelines (TEG) criteria. A composite trademark having characters representing an adjective (characters indicating the quality, raw materials, etc. of goods or characters indicating the quality of services, the location of its provision, quality, etc.) 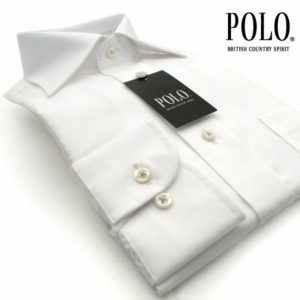 is judged as similar to a trademark without the adjective as a general rule. In this respect, as long as the junior mark designates rose in class 21 and the term “Rose” in the mark further impresses the concept of rose in mind of consumers, the portion of “Rose” should be considered descriptive in relation to designated goods. Otherwise, any combined mark composed of registered mark and a generic term pertinent to the designated goods is deemed dissimilar to the registered mark. I suppose the Board signaled a narrower scope of right where trademark has evidently its origin from other entity or meaning unrelated to senior registrant. Posted on 2018年11月17日 by Masaki MIKAMI in Article 4(1)(xi), composite, Composite mark, Likelihood of confusion, Similarity of mark and tagged Article 4(1)(xi), ROSE TEDDY BEAR, TEDDY BEAR. Posted on 2018年11月10日 by Masaki MIKAMI in Article 4(1)(xi), examination, Likelihood of confusion, similarity of goods, Similarity of mark and tagged Article 4(1)(xi), Trademark appeal, XXXX.